Steven Nobbs, who was tricked by his online lover known as Loral Williams to smuggle cocaine into Australia. Picture by Tim Swanson of ABC. A man accused of smuggling cocaine into Australia from the Philippines was found not guilty — because he was tricked by a Filipina he met online. 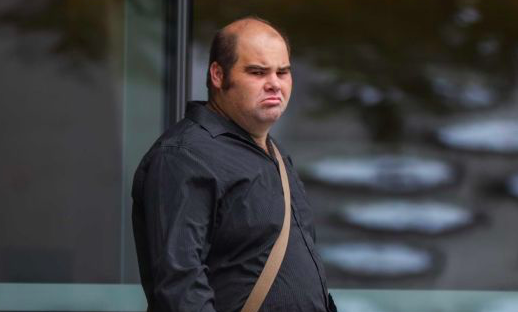 Steven Nobbs, aged 34, told Queensland Supreme court he had fallen in love with ‘Loral Williams’ two years before he attempted to take the drugs into Brisbane International Airport, ABC reported. Customs officers found 14 packages containing more than three kilograms of cocaine in the lining of a suitcase Mr Nobbs carried into the country in 2016, the court was told. Mr Nobbs had an online relationship with Loral for two years after they met on dating website Zoosk. Messages between the two read to the court revealed that Loral had talked him into collecting the suitcase from a hotel in the Philippines, saying it was a ‘gift’ for someone in Australia. “Loral, I’m worried that the gift is something illegal,” a hesitant Mr Nobbs wrote. His ticket was paid for by someone Loral described as her “sponsor manager” and he was urged not to declare anything when arriving in Australia. Mr Nobbs, however, did declare that he had foodstuffs and medication with him when he arrived in Australia. His defence lawyer told the court that Mr Nobbs had looked in the bags before departing, but had not seen anything as the 14 packages of cocaine were concealed. During their relationship, he had regularly sent Loral money, about $20,000 in total. When he expressed hesitation to send the money, Loral would question their relationship. LMAO! This guy is dumber than a bag of hammers.